Four people caught in possession of knives have been arrested for a variety of offences in three seperate incidents in recent days. In two of the incidents class A drugs were also found during a search by officers. Two Bellshill men, aged 22 and 32, were arrested for alleged possession of a knife, breach of the peace and resisting arrest at a house in Baird Place, Hattonrigg. 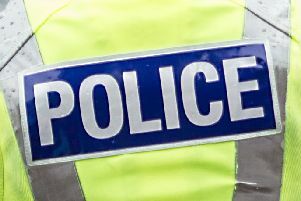 A 37-year-old Motherwell woman was arrested for alleged shoplifting and possession of a knife and class A drugs in Belhaven Road, Wishaw. Similarly a 33-year-old Motherwell man was arrested for alleged theft and possession of a knife and class A drugs in Watson Street, Motherwell. All four have been reported to the Procurator Fiscal.